Whether your business has first aid kits or even a full-scale medical room on the premises, TWC Group can provide medical waste disposal services to suit your business’ needs. Accidents are a part of life and while businesses have measures in place to prevent or reduce the risk, there is always the chance that they happen. And the trained staff on hand can help deal with the situation but there is also the matter of dealing with the waste created. Our service can be as regular as you need it or also booked on a one-off basis. We can help businesses around the North East and as far south as Yorkshire and Lincolnshire. All of our services comply with the latest regulations and mean that all waste is correctly stored then disposed of in the prescribed manner to avoid contamination or other problems. And we offer a discreet service that causes the minimal disruption to your normal business activities. When we collect items such as swabs and dressings, we provide a Duty of Care/Waste Transfer Note to show that the waste has been correctly removed from the premises. As licensed disposal experts, we also ensure that everything is incinerated in the correct way to protect both people and the environment. Your local medical waste disposal service provider. We provide our full range of medical waste disposal services across the whole of North Yorkshire, East Yorkshire, West Yorkshire and South Yorkshire, operating out of our locally based depots situated in Hull and Thirsk. Our medical waste services in North Lincolnshire include our full offering and covers locations such as Scunthorpe, Grimsby, Brigg, Barton-upon-Humber and all the surrounding towns and villages across the Humber region. 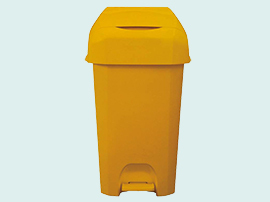 The medical waste disposal detailed are available to customers located in the North East region, including cities such as Middlesbrough, Durham, Sunderland, Newcastle, Gateshead and all of the nearby towns and villages.